During my nursery week on my pediatrics rotation, I saw a patient in the NICU who, even in the land of unbelievably tiny, critically ill infants, was doing exceptionally poorly. She weighed around three pounds, required assistance to breathe, had severe hydrocephalus and a ventricular assist device to help shunt the excess fluid out of her skull. She had already spent more than two months in the unit, and she was still two months away from her estimated due date had she made it to term. She had been born via emergency C-section when her mother went into pre-term labor as a result of an infection at 22 weeks of pregnancy. She had a twin sister that did not survive. For reasons that aren’t entirely clear – perhaps unreliable dating of the pregnancy and therefore the infant’s gestational age, perhaps poor communication between the patient, the obstetricians, and the neonatologist – the neonatologist who was present at her birth believed that she was around 27 or 28 weeks’ gestational age. She had to make a quick decision at the time of birth about whether or not to intubate the infant, and she says that even though her visual assessment of the girl was that she seemed terribly small, even for a 27-week preemie, she went ahead and intubated anyway. She says now that she doesn't know if it was the right thing to do, that she had simply acted on the information she had at the time, and that she often regrets it when she passes by the isolette of this horribly fragile, tiny baby. 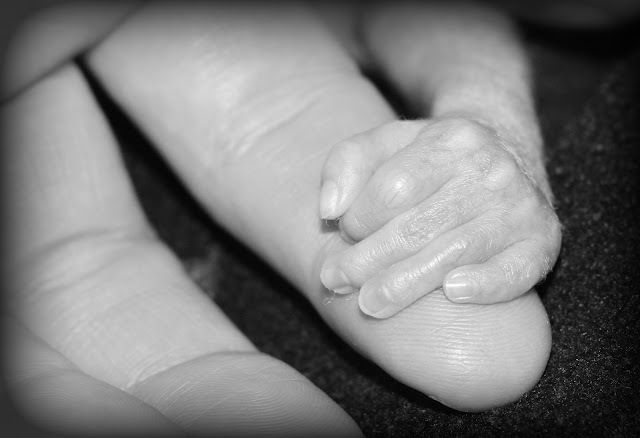 Babies born prematurely suffer more adverse health outcomes than term babies, and the more premature they are, the greater the number and severity of the complications they have, both in the short-term and the long-term. Normally, the cutoff age for viability is 24 weeks’ gestation, and babies delivered at this age have a grim outlook – less than 50% even survive – but in this case, an infant even younger than that was kept alive when prevailing best medical practices would have dictated not to resuscitate such a premature baby. The reasons behind these guidelines are numerous and range from the sheer probability that the child will live to the overwhelming health challenges they are guaranteed to have if they do. Another, not at all insignificant factor, is the incredible amount of resources it takes to care for them after birth. The daily average NICU stay exceeds $3,500 per infant, the average NICU stay costs $45,000, and it is not unusual for the total cost of an extended stay to exceed $1 million. That is the kind of extended stay that Baby 22 Weeks is currently having here in an Atlanta hospital. It is unclear at this point whether or not she will ever be well or strong enough to leave the NICU, and if she does, what quality of life she will be able to have. Her mother won’t entertain any sort of conversation at all with her baby’s doctors about how to manage her case other than to “do everything possible”. No real deep thoughts here tonight. It's test week, so I have neither the time nor the energy to do a whole lot of reflecting or writing. I was just doing a quick little write-up for an upcoming ethics session we have during this last week of the peds rotation. It is supposed to be about an ethical issue that we have witnessed during the rotation, and this is what I kept coming back to. I am curious about people's thoughts. I am not at all saying that this baby does not deserve to live, and I really hate the economic/financial expense argument when talking about the worth of a life. I am in awe of what doctors are able to do, both before and after birth, to save the lives of infants with conditions that, until only very recently in history, would have had a 100% mortality rate. I'm not even totally sure there is a real ethics issue here: the obstetricians tried to keep the mother's preterm labor at bay, the neonatologist acted to save the life of an infant she believed to be unquestionably viable, the mother wanted (and continues to want) everything possible to be done for a child that she loves. Surely mistakes were made and surely this outcome was by no means unavoidable. Maybe it's just the tragedy of the whole situation that gets to me. Maybe it's just that, in a medical world with so much potential to do so much good, sometimes a lot of very smart people trying their best still get it wrong. And maybe it's not the ethics of this case that gets to me. Maybe it's that sometimes there are just no easy answers to be had. You know what, Cathy? This is a hard one. When I was a resident I used to always say that if I got pregnant and went into early labor at less than 26 weeks that I'd just stay home. Then one day I peed on the stick and found out that I really was pregnant. And let me tell you -- all objectivity flies out of the window. When I was carrying Isaiah I had some premature contractions around 22 weeks. I was at that hospital before you could say Rumpelstiltskin. I still wonder how it would have played out if I was actually in real labor. I really don't. But here's what I do know--I loved my babies in a way that I'd never felt before and that occurred long before the 22nd week. These are good questions. Hope the testing goes well.